We received this email message from Paul M of the Deshpande Foundation, Hubli and are delighted that we are inspiring others to replicate our efforts at Puttenahalli Lake. Paul and his friends already have the biggest trump card to make them succeed - enthusiasm. We at PNLIT have assured them of our support and guidance to save their lake. I was completing some research about lake clean up projects when I discovered your website and was extremely excited and inspired to find out about your excellent project. I work as a teacher in the social entrepreneurship program at an NGO called the Deshpande Foundation in Hubli. We are currently undertaking one project where we would like to clean up our local lake called Unkal and also provide assistance and business opportunities for the local community. I was very very inspired by your project and believe that its success could be a model for other similar projects like our own. The corporation has some involvement in the lake as they are trying to complete a park on one side of it however they are not currently providing enough clean-up or assistance to the local community. 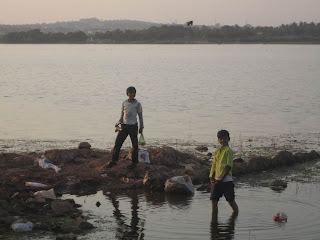 The situation is quite serious because not only are local people dumping their rubbish in the lake but there are also young boys swimming and fishing amongst the trash (picture below). The community is facing many problems and we are currently collecting data about education, employment etc. The task ahead of us is absolutely huge but I feel that by having a contact with a project such as yours could provide us with some guidance and direction. We would like to study more about your project, your project plan, how it was implemented and the problems you encountered. If there is any data, documents or personal advice you can share with us then we would be extremely grateful. For example, if you had any reports or recording of information (In English, Kannada or Hindi) then that could be very useful for us. Some of your ideas such as the cloth bag initiative are absolutely excellent and could also provide some assistance to us. It is very sad for us to see such a wonderful resource in the city being misused and slowly disappearing. We have great enthusiasm and willingness, we also have 25 individuals with varying experience in community projects however with some of your knowledge we may be able to direct our project in the right direction. I hope to hear from you soon and that this will be the beginning of a long and fruitful connection. PNLIT is happy to extend support to our fellow lake activists. This group has taken on the herculean task of restoring the large Sarakki Lake (also called Jarganahalli Lake, near Elita Promenade) and needs all the cooperation and support they can get. We are pleased to announce the formation and registration of a new voluntary, non-profit, charitable trust named SARAKKI LAKE AREA IMPROVEMENT TRUST (Regd). The Trust is meant to help Restore and Rejuvenate the once pristine Sarakki Lake (also known as Jaraganahalli Lake) which has fallen prey to unprecedented encroachment, pollution by entry of untreated sewage from surroundings , uncontrolled growth of water hyacinth and the consequent flight of avian and aquatic life over many decades. The Founder Trustees and Office bearers are experienced professionals from diverse fields and come from a wide cross section of the neighbouring communities. Secretary: Mr. M. P. Manjunath, I T Professional, R/O Eshwara Layout. Treasurer: Mr. A. Ramachandra Joisa , Chartered Accountant, R/O Kothanur. Professor K. S. Bhat, Ex ASCI, Hyderabad, R/O Labernum BM. Mr. K. V. Prathap Kumar, Sr. Project Manager (Retd. ), R/O Jacaranda BM. Mr. Sudharshan Ganapathi, I T Professional, R/O Eshwara Layout. 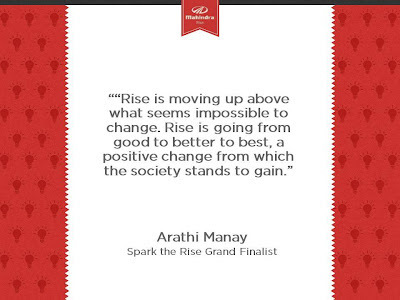 PNLIT is featured today on the Mahindra Rise Blog, as one of the 18 Spark the Rise finalists. 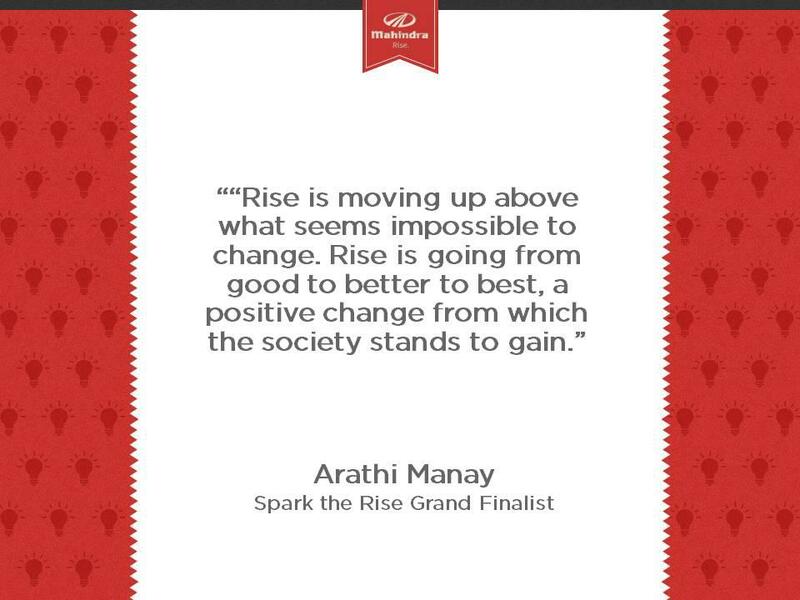 PNLIT looks foward to receiving your support for the Grand Finale. * The Puttenahalli Lake nurturing project is a replicable model for lakes in urban areas, with citizens sharing the responsibilities of the local administration. * Lakes in urban areas are critical for maintaining the ecological balance and need to be protected. * People need well-maintained Public Open Spaces and this project is one such space – of the people, for the people and by the people. Read the full blog - write-up, pictures and video here. Excerpts from the newspaper report below. Read the full report here. The relation between lakes and water tables is no mere theory. A case in point is the Puttenahalli Lake which was revived through citizens' intervention a few years back. The Chairperson of the Puttenahalli Neighbourhood Lake Improvement Trust, Usha Rajagopalan, points out that the groundwater levels in the area have definitely improved. "The increase in number of birds present in the lake is another indicator. At the same time, evaporation has caused the surface level to drop a bit. We are hopeful that soon the 200-odd trees that we have planted around the periphery will reduce the rate of evaporation and the Puttenahalli lake would be full of water even in summer. We are also trying to divert more rainwater into the lake," says Rajagopalan. If the number of trucks streaming out of the area is any indication, borewells here are working once again. Says Rajagopalan, "The borewell operators in the area are definitely aware how the restoration of the lake has recharged the water table. I am not very sure if the more educated and economically better-off see the connection, since their supply of bottled water is still intact.The importance of lakes, not only in relation to recharging the water tables, but in so many other ways cannot be underestimated." Mohan takes the issue further and predicts a disaster. "We are heading towards a major drought if we don't take immediate action. In Bangalore, there was a time when we could find water at 25-30ft. Where is that now? This is because, we are not replenishing lakes and have no water sinking areas. Lakes are very important to the city. That's it." Rajagopalan saves the last word as one of advice, "It is in people's own interest to protect lakes/tanks – as much as villagers in the past took care of ponds. Our education and lifestyles have distanced us from nature. We need to take corrective steps urgently so that our children do not suffer because of our callous indifference to nature and to waterbodies in particular." Are you running in the TCS World 10K 2012? Are you going to join the thousands of proud Bangaloreans on the roads around Cubbon Park on a glorious Sunday morning on 27th May 2012? PNLIT is in the process of registering as an NGO and we are looking for people who will run for our Puttenahalli Lake; who will garner donations for our lake. Why should you run for PNLIT? Because PNLIT is a purely citizen driven initiative to do something as extraordinary as saving a lake from extinction. Because PNLIT meets expenses through donations, mostly from individual well-wishers. Needless to say, it works on a tight budget. Because PNLIT aims to transform the lake into a secure bird habitat. Because PNLIT nurtures over 200 tree saplings planted on the lake periphery. Because PNLIT is instrumental in giving a home to over 50 species of birds in and around the lake. Because PNLIT involves the neighbourhood in lake restoration and maintenance. If you are still not convinced, please visit the lake (with your children) and see the birds. We have many, many plans for the lake such as diverting more rain water into the lake, relocating the hutments, planting more trees, etc. etc. Your Run for PNLIT could fetch us some much needed funds to execute at least some of these plans. Runners need to register on http://www.bangalorecares.in/ (Registration cost: Open 10km Marathon Rs 700/-, Majja Run Rs 400/-, Senior Citizens 4km Run Rs 300/-, Wheelchair 4km Rs 200/-). We will be online on Bangalore Cares in a few days, after the registration formalities are complete. Even if you cannot run, you can still show your support by helping the PNLIT runners raise funds. Ms. Jyothi Nagaraj, a keen gardener who lives in RBI Layout will lead this community project. Read about Jyothi here. If you would like to join please email asap <puttenahalli.lake@gmail.com>. We propose to begin on Sat. 31st March 2012.